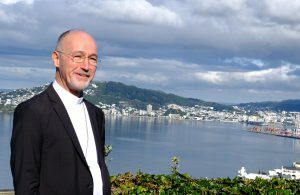 New Zealand Apostolic Nuncio, Archbishop Martin Krebs, bids farewell to Aotearoa-New Zealand this month as the Pope’s representative to New Zealand and neighbouring Pacific Island nations. WelCom interviewed Archbishop Krebs before his departure. Q. Please describe the role of Apostolic Nuncio. The role is two-fold to promote identity and openness. I am an ambassador representing the Vatican State and I work with other countries’ diplomats. But the title ‘Nuncio’ refers to my role as a spiritual representative of the Pope among the Bishops’ Conferences wherever I am posted. Q. Briefly describe your upbringing? I come from a migrant family from East-Germany. My parents who were strong in their Catholic faith. I grew up in a working-class industrial area in Essen and attended a local progressive Catholic school. I enjoyed music, especially piano and organ. Q. What was your journey towards becoming a priest? After finishing high-school in the 1970s, I worked for two years in a hospital to discern whether to become a doctor or a priest. I gained a state diploma in nursing after one year and I am proud of this. However, my calling to become a priest outweighed the medical profession’s focus on technology. Q. 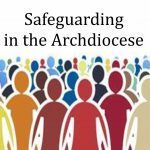 Can you talk about your years as a priest and bishop? After my seminary studies in Rome I was ordained a priest in 1983. My priest’s ordination motto is ‘Christ is God’s YES to us’ (2 Cor 1:19). My first appointment was assistant parish priest in my rural area, and then as assistant priest in an urban parish in Duisburg. After obtaining a doctorate in Canon Law in Rome, in 1991 I was invited to enter the diplomatic service of the Holy See. I was ordained a bishop in 2008. Q. What do you see as challenges for Church today? One of the challenges is the need for identity. 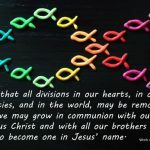 We have to know who we are as individuals and to be able to live alongside others in our faith identity as a global church based on the Resurrection. Q. What have been some highlights and observations here? 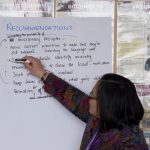 The appointment of new bishops; working with the Bishops Conferences in Oceania; the local attitude of ‘keeping things simple’; the beauty of nature so close at hand; the walks, the birds; and the culture of hospitality in the Pacific. Haere raa Archbishop Martin, ngaa mihi nui ki a koe.